The Ladakh Heart Foundation was established in 1997 by Lama Choegyal and is an amazing project that has benefitted innumerable people in Ladakh. 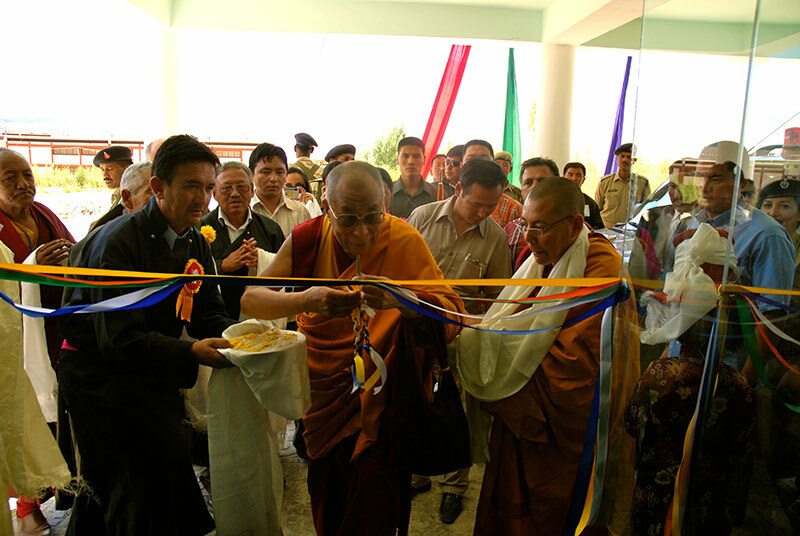 In 1996 Lama Choegyal visited Ladakh Bodh Vihar in New Delhi where many residents are originally from Ladakh. He noticed that there were several cases of Rheumatic Heart Disease and asked doctors in the AIIMS whether this was a preventable disease. Rheumatic Heart Disease is preventable and curable through penicillin injections, so Lama Choegyal made a personal donation and purchased a large quantity of these injections. Having distributed them to several clinics and hospitals in Ladakh it became apparent that this disease was slowly fading. The next step was to educate people about it. One injection costs about Rs. 15, and an operation in a private hospital can cost up to Rs. 3 lakhs. Therefore Lama Choegyal started educational programs in villages on the simple solutions to this rampant disease. 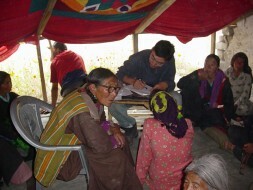 Rheumatic Heart Disease has since been completely eradicated in Ladakh. However, Congenital Valve Defect is quite prominent, and is not preventable. It is often seen in children born in high altitudes like Ladakh. 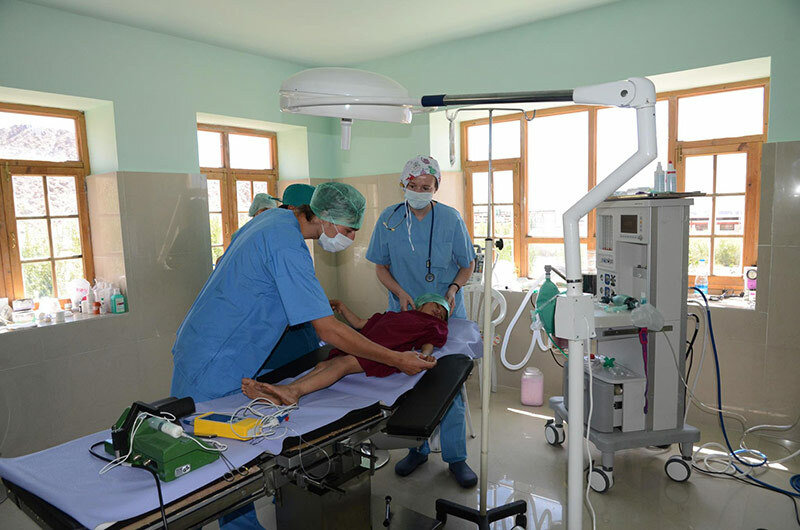 There were no facilities available in Ladakh to conduct the simple surgeries needed to correct the defect, and patients were sent to AIIMS in Delhi. In ‘98 Lama Choegyal began inviting specialists from AIIMS and held camps all over Ladakh to carry out this simple surgery free of charge. It was announced on the radio and they have conducted over 200 of these surgeries. At the hospital there are 4 or 5 doctors, mostly volunteers, and 500-700 people are treated per month. Outside of the hospital, they treat even more people. The team travels to villages and treats people during the day, at night they hold educational talks on infections, obesity, hepatitis, stomach cancer and nutrition amongst other things. 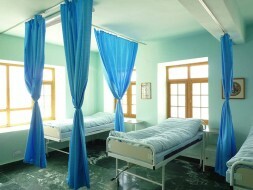 The hospital now carries out surgeries of different types, the two most important are heart surgery and plastic surgery. In Ladakh, with temperatures dropping to -30 degrees celsius for a large part of the year, families huddle around fires. This means that every year there are several burn victims who need to undergo reconstructive plastic surgery. In addition to burn victims, people with birth defects like webbed fingers and toes are also treated with these surgeries. Since no new cases of Rheumatic Heart Disease are to be found, the new focus has shifted to Stomach Cancer. The hospital has been keeping records since 2004 and almost 1 new patient is diagnosed everyday. This disease is closely related to nutrition and lifestyle. For example they noted that here people drink up to 100 cups of butter and salt tea per day. They are still conducting research on this. Other prominent diseases are Silicosis and Hepatitis B. The Dalai Lama Trust has made three donations to the foundation. The first two went into the construction of the building, camps, equipments and running expenses. The third donation was made specifically to purchase a Video Endoscopy machine, which can help diagnose and prevent Stomach Cancer to a large extent. Donations have also gone into the extensive research conducted at the hospital, which is a serious undertaking and has found interesting connections between illnesses, altitude and the lunar phases.